Fans may be aware of their closeness when the tvN’s drama ‘Goblin’ aired in 2016. 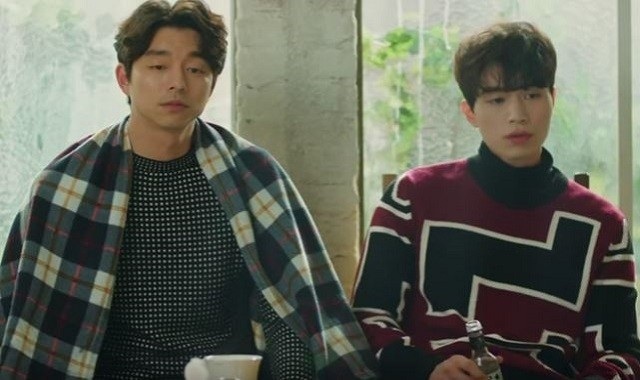 But actually, Gong Yoo and Lee Dong Wook have been friends for a long time. Even Gong Yoo once said if Lee Dong Wook is the reason that he can survive during his mandatory military service. In addition to meeting at the time of their military service, both also come to the same salon so it is not surprising that they really look like brothers. In March 2017, Gong Yoo showed his support by coming to Lee Dong Wook’s fan meeting show titled ‘2017 Lee Dong Wook Asia Tour in Seoul 4 My Dear’. Jisoo and Nam Joo Hyuk first met in ‘Moon Lovers drama: Scarlet Heart Ryeo’ in 2016. Their age is only 1 year apart because Jisoo was born in 1993 while Nam Joo Hyuk was born in 1994. 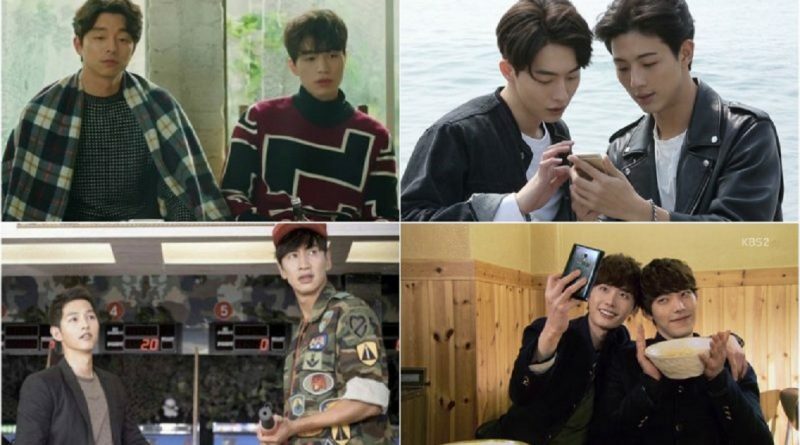 After the drama, the two became very close and they reunited on MBig TV ‘Celebrity Bromance’ season 4. When Nam Joo Hyuk held fan meeting this year in Seoul, Jisoo came as a guest star to give support to his best friend. And so when Jisoo held a fan meeting a few months ago, Nam Joo Hyuk replied Jisoo’s support by coming as a guest star as well. Song Joong Ki and Lee Kwang Soo who both were born in 1985 first met on SBS’s ‘Running Man’ variety show in 2010. Since the event, the two became close friends and showed support for each other. In KBS drama ‘Descendants of The Sun’ which aired in 2016, Lee Kwang Soo appeared as a cameo in the first episode. Song Joong Ki also replied his best friend’s kindness by appearing as a cameo in Lee Kwang Soo’s drama ‘Sound of Your Heart’. Earlier in 2012, both had acted together in the drama ‘Innocent Man’ which aired on KBS station. When Song Joong Ki held a fan meeting last year, Lee Kwang Soo was a guest on the show to show his support to his best friend. Kim Woo Bin and Lee Jong Suk both debuted through the modeling world before becoming actors as they are today. Both actors who were born in 1989, once played in a KBS drama titled ‘School 2013’. Kim Woo Bin and Lee Jong Suk also often do a photo shoot together for Star1 magazine and Vogue magazine, as well as some ads for other brands. In 2015, Lee Jong Suk came to show his support when Kim Woo Bin held a fan meeting in Seoul. 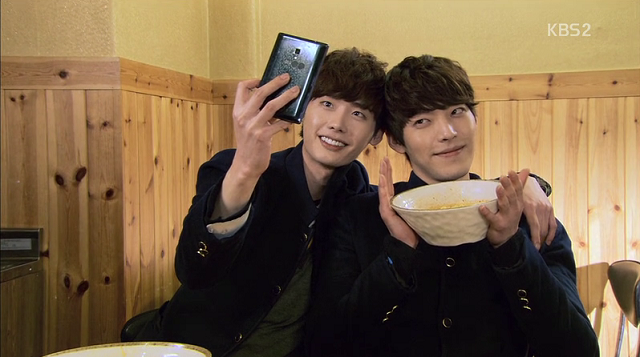 Previously Kim Woo Bin also did the same for his best friend.